It’s hard to imagine an award show without a host to ring in the ceremonies and tie everything together with timely quips, but the Academy of Motion Picture Arts and Sciences might go that route soon enough. Who will host the 2019 Oscars? 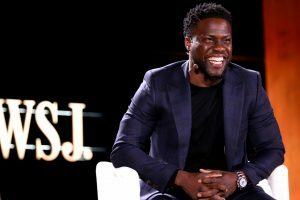 It’s possible no one will take on the coveted gig, as this year’s show is reportedly moving forward without a host after the Kevin Hart debacle. According to Variety, producers will choose a list of A-list celebrities to introduce various segments throughout the Feb. 24 telecast rather than relying on just one host as they have for at least the last three decades. That means there are just six weeks left before the Academy Awards air to find enough talent willing to take on these responsibilities, which seems like a gargantuan task, but may turn out for the better. When the Academy announced in December that Hart would head the ceremony, several people noted that his documented history of anti-LGBTQ jokes on social media made him a poor choice for the role. Hart stepped down within hours. Last week, Ellen DeGeneres encouraged him to take back his spot as Oscars host, though after promising her he would consider it, Hart has apparently decided against getting on the stage at the ceremony. As noted by Variety, Hart’s interview with DeGeneres ultimately backfired; a representative for the Academy said she took remarks out of context when insisting that the Academy would take Hart back as host if he asked, and a number of critics said Hart still should not be considered to host the event since his conversation with DeGeneres framed him as a victim. We’re definitely curious about who will step up to keep things moving on the Oscars this year, especially with so little time to organize.